Don’t Starve Together has just added a large portion of content from Reign Of Giants to the game. 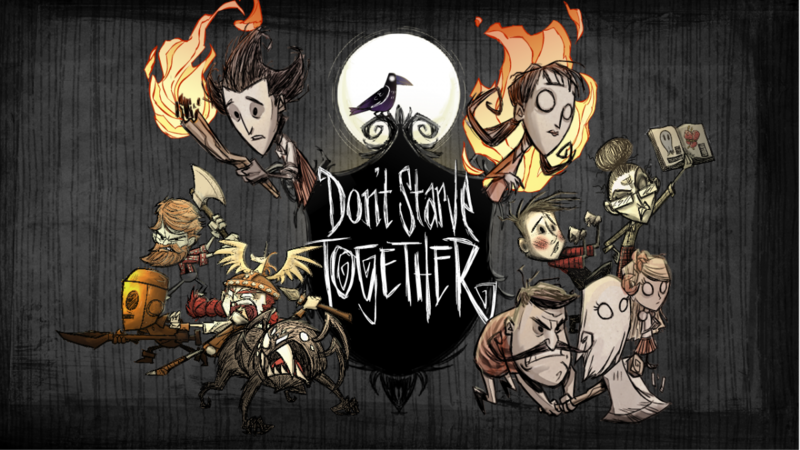 Don’t Starve Together is the multiplayer version of Don’t Starve, a sandbox-horror-survival game whose only DLC was Reign Of Giants. Now that DLC has come to Don’t Starve Together for free. The new content will be added in an update to the game released today. It contains the majority of the original DLC, minus just a few bits. There will now be two new playable characters: Wigfrid, a method actress who devours meat, and Webber, a boy who lives inside the body of a spider that tried to eat him. There will also be Spring and Summer seasons as well as two new biomes, the Desert and the Deciduous Forest. Spring generates rain and dangerous plants, whereas in Summer players will have to avoid dehydration. The Summer season which was already in the game is now called Autumn. Oh yeah, and each season gets its own giant. The update also brings some small mechanical changes to the game. Livestock now require food to stay alive, too much rain without a proper coat can make you crazy, food left out for too long can spoil, and anything made of wood is now a potential fire hazard. Some of Reign Of Giants’ mechanics have been changed in order to fit better with Don’t Starve Together, such as having giants appearing more often. Sadly, the new content won’t appear in existing save files, so if you want to experience the new content, you’ll have to generate a new world by starting a new game. Next articleOn Mewtwo’s Return to Smash Bros.